I’m joining in this week on Writer’s Quote Wednesday on the topic of trust. The challenge this week was to add to our quote about trust in a creative fashion. My creative addition is in a poem to pair with a quote from the book Coraline by Neil Gaiman. Trust is a fickle thing, especially if you don’t trust yourself or accept what you see. it blinds you to inner desire. wrapped in the facade of faith. Broken true by the view in the mirror. I hope you enjoyed my quote and original poem this week. If you did enjoy my poem and/or quote let me know by hitting the Like button below. Comments always welcome and Sharing is caring. The Writer’s Quote Wednesday Writing Challenge (#WQWWC or #WQW) is organized by Colleen from Silver Threading, it is a weekly series in which bloggers share the quotes that inspire them. Click on the above link for this week’s inspiration. She has also joined up with Ronovan Writes. On Tuesday of next week all the quotes tagged will be centralized. Go check it out and join in the fun, it’s a great community and who doesn’t like to be inspired? Thanks Colleen 💗 I love poetry. It was fun to dabble with the quote challenge this week. Beautiful. I read it 3 times and savored it more with each read. Enjoyed the quote, I used nearly the same words in a poem. 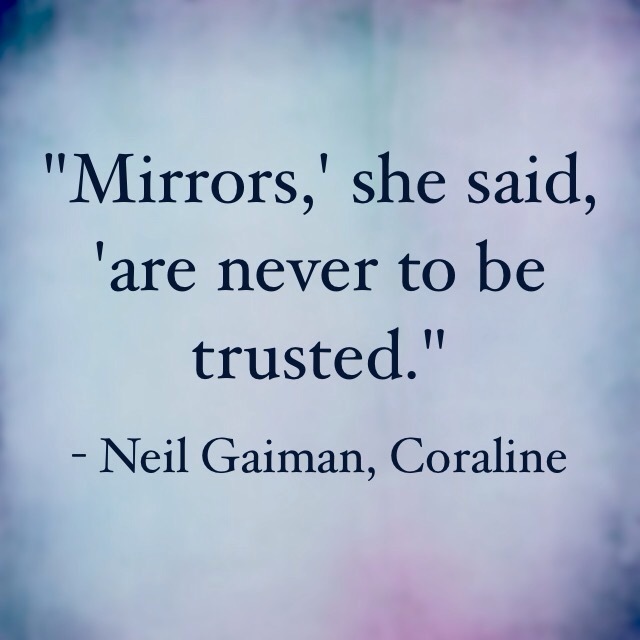 However, at the time I was unaware of Neil Gaiman… We live and learn. Previous Previous post: Sync with Scrivener, Work Anywhere!